Fashion Polish: Introducing White Owl Lacquers first collection : After all this Time! 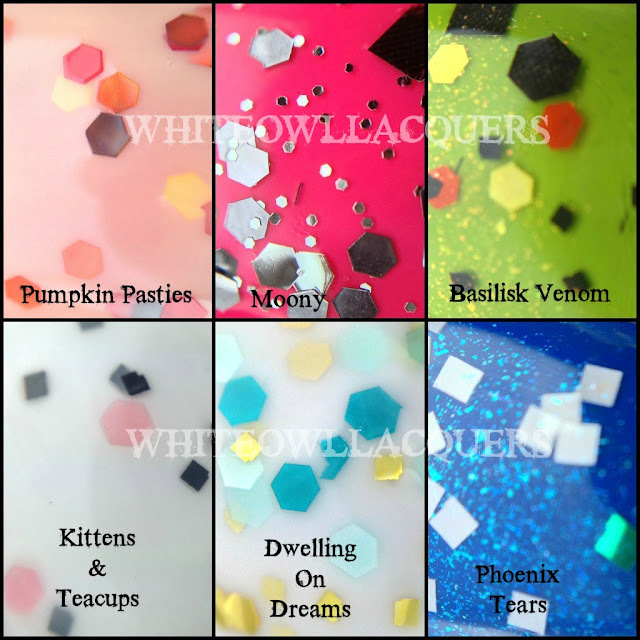 Introducing White Owl Lacquers first collection : After all this Time! It's funny sometimes how you can create special bonds with people. The perfect occasion, the perfect timing, the perfect person maybe... All this over polish! Created by my dear friend and fellow nail polish blogger Mara and inspired by the world of Harry Potter, this first collection, "After all this Time" features six perfectly balanced glitters! Unfortunately I don't have swatches for you yet but I will VERY soon. In the meanwhile, you can see them in detail on Mara's blog marainpolishland.com or on Carolina's coloresdecarol.com. White Owl Lacquers is available on Big Cartel starting today and retails for $9 each (full size) or $27 for the entire collection (minis). Thank you Sam!!! I'm beyond words.... THANK YOU!!! oh wow LOVE all of these!!! Phoenix tears is sooooo pretty!! These are really pretty and I love the HP theme! I like all the sparklies. These look so cool! Exciting! Nail colors & styles All girls know that presentable, well-polished nails can do wonders for their appearance. Besides keeping them clean & buffed there are so many things we can do with them. I really need to win these... i literally read the words "Mooney" and "Basilisk" and my fangirl senses tingled.